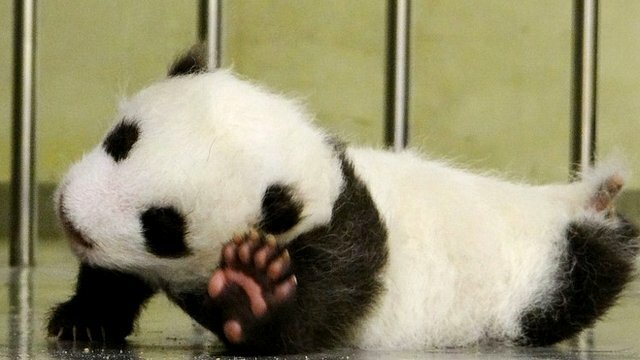 China shows off 14 baby pandas Jump to media player A group of 14 artificially-bred panda cubs have been put on display in China's Sichuan province. 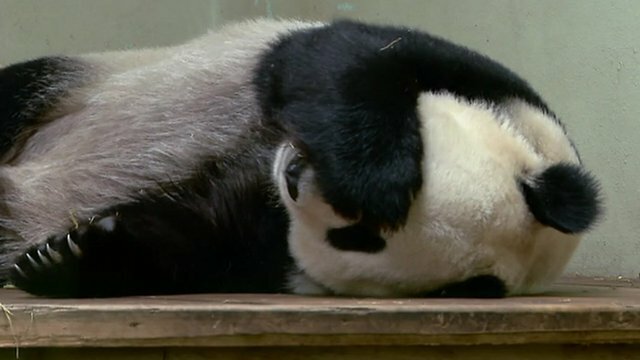 New panda cub unveiled in Taiwan Jump to media player Taipei City Zoo has released new pictures of one of its giant pandas. Zoo prepares for possible panda birth Jump to media player Staff at Edinburgh Zoo are preparing for the possible arrival of the first panda cub to be born in Britain. 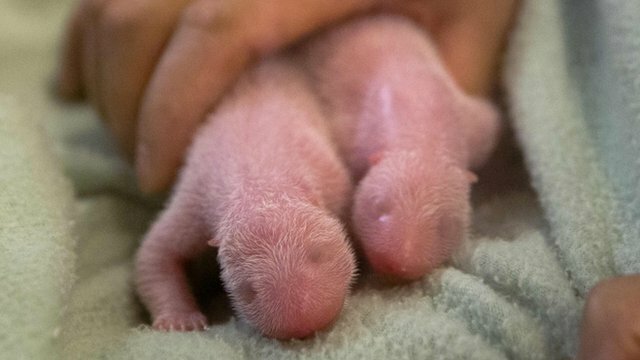 Twin panda birth surprise at US zoo Jump to media player Staff at an Atlanta zoo got more than they expected when a Giant Panda gave birth to twins on Monday. 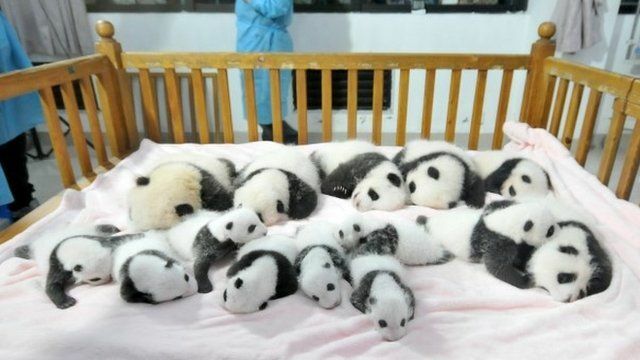 A group of 14 panda cubs have been put on display in China. The 14 cubs were artificially bred in the Chengdu Giant Panda Breeding and Research Base in south-west China's Sichuan province. Born between July and September this year, they are currently being raised in two delivery rooms at the base. The eldest, Meng Meng, is four times heavier than the youngest, Ya Yi.